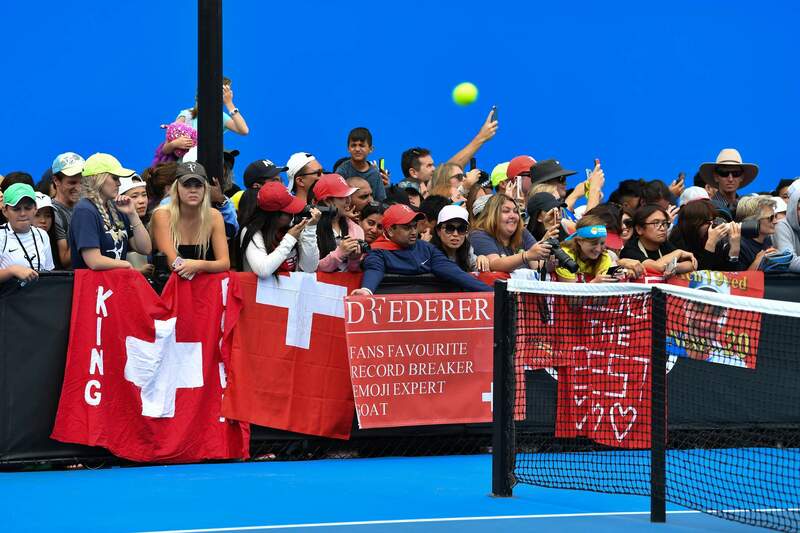 He has 15 million Facebook friends and 6.7 million followers on Instagram – for many people, Roger Federer is a hugely influential role model. How does he handle the constant public attention and what values does he want to convey to his fans? Everything that celebrities do is observed scrupulously. Some constantly have to think carefully about how they do their hair or how they dress to avoid negative headlines. What is it like for you? Completely different. I don't have a hidden life. People know what I do and what kind of person I am. That also means I can do what I want and this is a good thing. I don't want to have to live my life pretending, I just want things to be normal. You are always in the spotlight. Does it ever bother you? I was lucky that I had plenty of time to get used to this life. You could say that I've grown into it. This was a big advantage for me. Mobile phones can definitely be a problem sometimes. I can understand it when fans pull out their phones to take a photo of me – they might never see me again and want to seize the opportunity. But, as a family man, I get really annoyed when somebody takes a photo of my children without asking. Do people always expect you to be at their disposal? That can happen, but overall, my experience of people is that they are very understanding. When I say that I'm happy to have a selfie taken with them, they think it's mega cool. On the other hand, when I say no or when I'm concentrating on the game on match day, they understand. As an individual athlete, I definitely have an advantage over those who are part of a team, such as footballers, who also have to attend team events. I can largely decide for myself when I make myself available to my fans and the public. Do you treat all fans the same? Honestly? No. I have a hierarchy of importance. For autographs and photos, children come first. I also give special consideration to people with disabilities. And if other athletes want a photo, I can't say no. Of course, all my fans are important. I really appreciate the money they spend on tickets and travel just to see me. What values do you want to convey to your fans? Respect is a central value in my life. 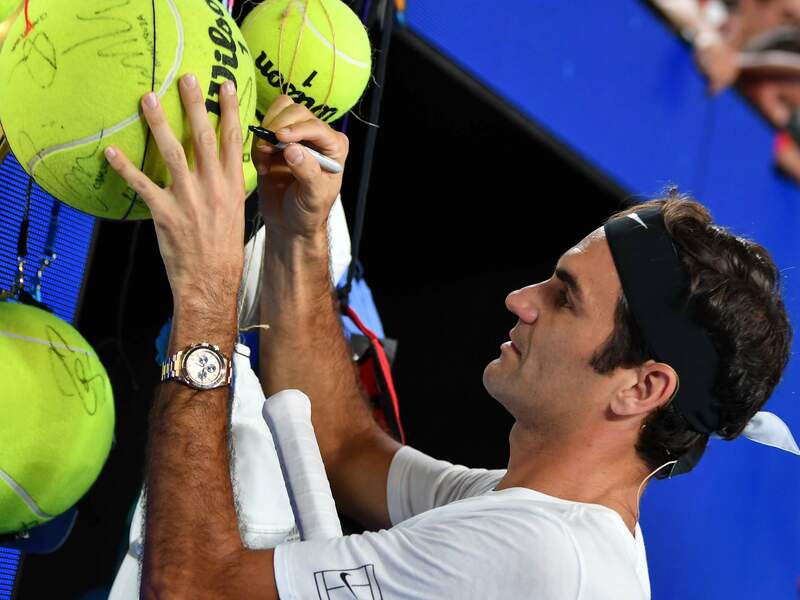 For me, it's important that my fans get on well with the fans of other players, and don't insult or argue with each other just because one person thinks I'm the best, another person thinks it's Djokovic, and someone else prefers Nadal. Just as I respect my opponents, I expect my fans to do the same. Yes, that certainly is part of it. Sometimes, tennis may not be quite as euphoric as football. That is a shame, but our sport is strongly connected with decency and respect, which is something that I value very highly. Are there boundaries that you do not want to overstep in your role as a global role model? There are many things that others understand better than me, so I don't need to know everything. If you freely express your opinion, you will offend many people. This is why there are topics that I don't speak about publicly and that belong to my private life. I also don't want people to think a certain way just because Roger Federer does. Why do you think you are so popular in so many countries? I often hear that it has something to do with how I play tennis – that I symbolize the bridge between the old and new generation. Sometimes, people say it's about how I present myself. When things were going well, people admired me. When things didn't go so well they said, look, Federer has to lose too, that must be tough. I am sure that gained me extra fans as well. You have 15 million friends on Facebook and 6.7 million people follow you on Instagram. Do you still get fan mail? Everybody who writes to me and sends a stamped reply envelope or stamps usually gets a reply. This is all handled by my parents. I get at least 15 to 20 letters every week. My parents still show me the best ones. In fact, my Dad just brought me a few cards to sign. What about the importance of social media? For me, discovering social media was like going on a trip to an exotic island. It took me almost two years to get involved. A friend explained everything to me in a 30-minute crash course, and I have used social media ever since. I write all my posts myself, whenever I feel like it or whenever I have something I want to communicate. But I've quickly come to realize that it is quite time-consuming to post something cool. What is the aim of the Roger Federer Foundation? My foundation supports educational projects in southern Africa and Switzerland. In Africa, we are working towards improving the quality of education in primary schools and for early childhood. In Switzerland, meanwhile, we are focusing on promoting extracurricular activities for children from low-income families. We hope that children and their families who didn't get the same chances in life as we did will be able to benefit from our work. I do it because I enjoy it. It allows me to fulfill a dream of my own and, at the same time, help make the dreams of others become a reality. 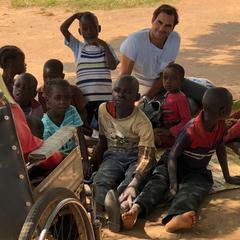 I hope that I can inspire others so maybe they will then say: "Hey, Federer is doing something good, I could do something too." Do you have your own role model? I've got a few. In sports, it's Michael Jordan. In the 1990s, he was the king, and back then I always watched basketball. My favorite tennis players were Edberg, Becker, and Sampras. At some point I also got to know other personalities such as Bill Gates, people with incredible stories who have dedicated their lives to philanthropy. Is active "Respect is a central value of my life"